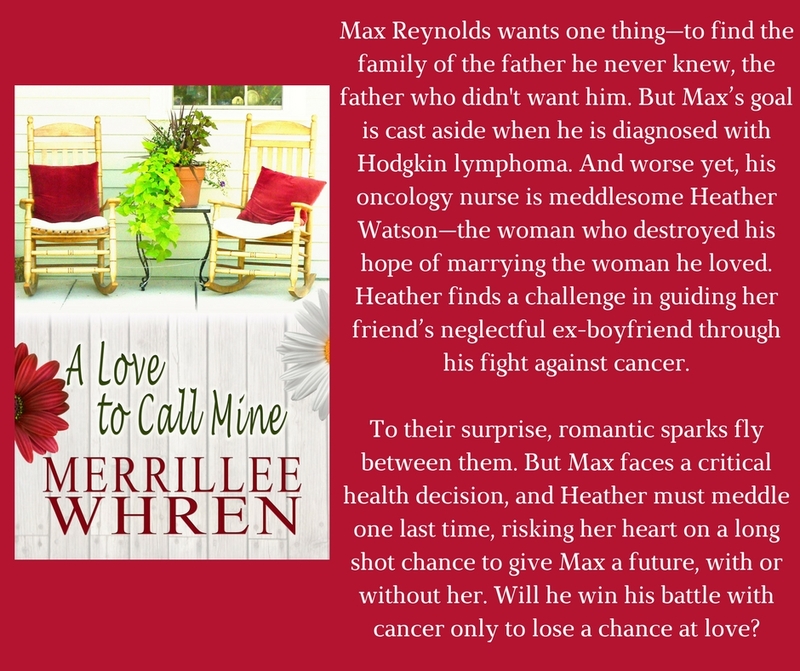 Get your copy of the second book in my Front Porch Promises series, A LOVE TO CALL MINE, for a limited time for 99 CENTS. Tap here for buy links for all vendors on my website, and while you're there, please take a moment and sign up for my newsletter. Merrillee Whren is the winner of the 2003 Golden Heart Award presented by Romance Writers of American. She is married to her own personal hero, her husband of forty-plus years, and has two grown daughters. Connect with her on her Facebook page. Thanks so much for posting, Merrillee. Looks like a great read! Like the cover. Looking forward to reading this book.